Water fights just got a lot more extreme! 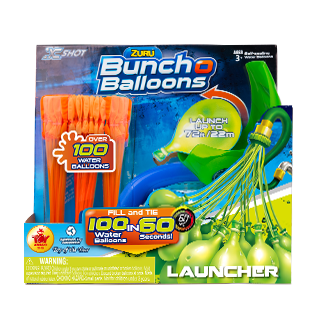 Fill & Tie 100 Water Balloons in less than 60 seconds, then launch them from up to 40 m / 130 ft with the Bunch O Balloons Mega Catapult! The competition won't even see it coming! 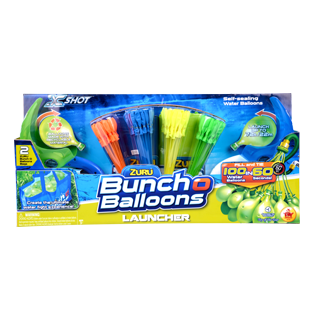 Grab a few friends to hold each one of the handles, pull back the pouch and unleash summer fun!